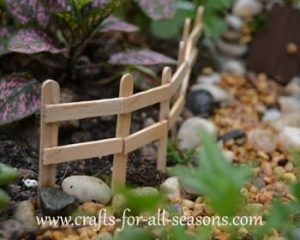 A fairy garden is a perfectly formed miniature garden complete with living plants that are a fun and creative way to add a little whimsical magic to your garden. 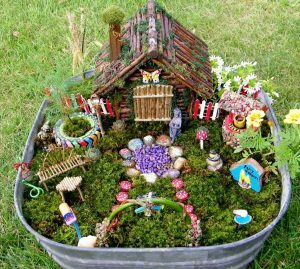 Fairy gardens are perfect for whatever outdoor space you have and the only limit to what you can do is your imagination. 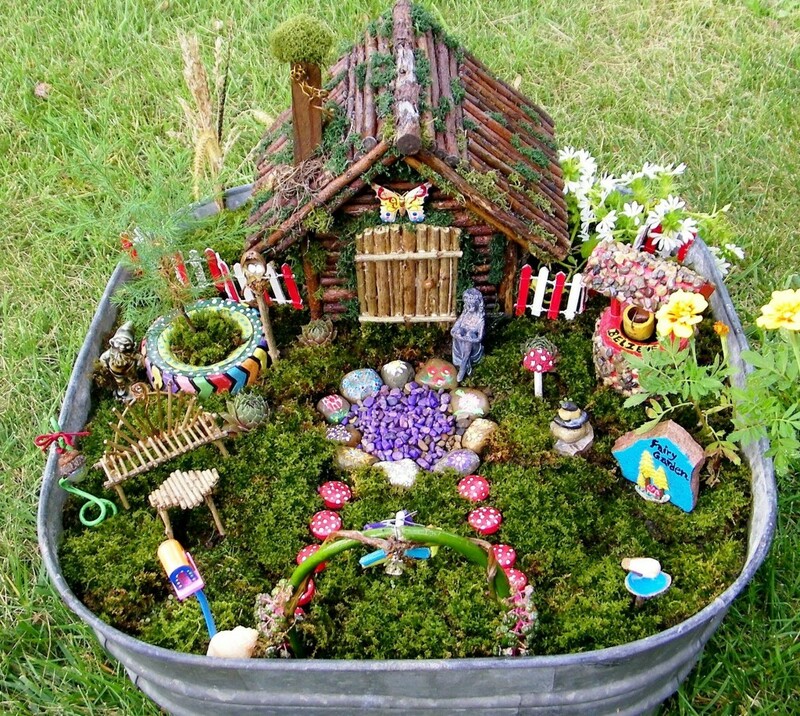 This fairy garden adds a personal and unique touch to your garden that can be created by you or with help from expert garden designers. Whilst dictated in part by the space you have you can use ANYTHING as a container. A large plant pot, a bucket or a wheelbarrow would all be perfect. 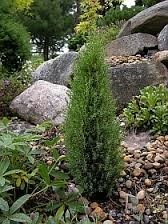 If you’re lucky enough to have a lot of space you might consider using a small corner of your garden or even the base of a tree! There are a few practical things to remember. If you’re using a container it will need some drainage holes. Most plant pots have drainage holes pre-drilled otherwise it may be a job for a power tool. 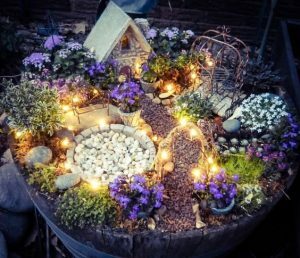 Think about where you want to put your fairy garden too – just like most plants, fairies love a sunny spot, so try and find somewhere bright to place it. This is where the magic really happens. 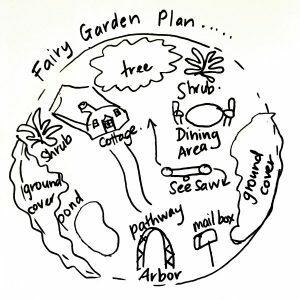 Grab yourself some paper and sketch out some ideas on how you might like your fairy garden to look. The amazing thing about this type of garden is that there are no rules! And almost anything is possible. From a picnic area to a water feature, a castle or beach – let your imagination run away with the fairies! Of course, you don’t have to stick to your plan – but it’ll give you a good idea of what you need to buy and make. You can buy miniature furniture and structures online but it’s also fun and pretty easy to make a lot of them yourself! This is where you see your ideas come to life! Once you have an idea of how you want your garden to be arranged and have gathered your plants and accessories – you can start putting it all together. Fill your container with soil and try arranging the items and plants whilst still in their pots first before you start planting – just so you’re sure about where everything is going to go! 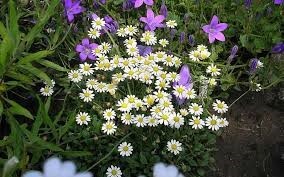 It’s also a good idea to give the garden a good water before you add the accessories. All that’s left is a puff of fairy dust and there you have it! 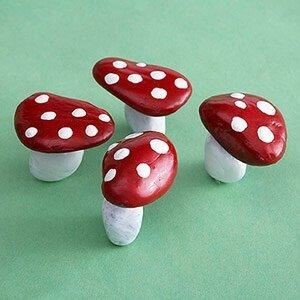 Your very own fairy garden! 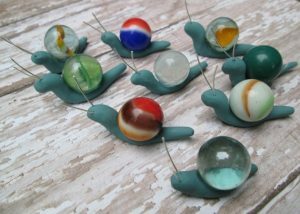 We really hope this has inspired you to make your own miniature magic garden – why not send us a picture of your creations in the comments below? Or do tell us what you’d like to learn more about, or what you found most interesting!